There is nothing like the mid-January blues to have you dreaming of new places and spaces. We have a BIG trip planned for early 2016 (More to come on that, later), so travel this year will be a little more sparse as we save up for that one. I’m not really big on posting places I “want” to go that aren’t realistic. Otherwise this list would be much much longer! Nonetheless, I do have some plans under my belt. The last few years I have been pining to spend more time with our neighbor up north. I’ve always wanted to go to Banff National Park and Lake Louise in Alberta, but the distance gets in the way. So instead I’ve been researching Ottawa, the capital of Canada, and sites around Ontario and Quebec. The above photo is from the Canadian Tulip Festival which takes place in May and my brave, florist mother and I plan to take all three kids north for the event. We’re hoping to do a few other stops along the way as well, but that’s going to depend on how well the three little kiddos sleep and cooperate. Another northern neighbor (and yes, I know we don’t like their football team, but they could surely use some stimulation to their economy with a visit from our brood), I’ve only traveled in Michigan as a young kid when our family went to Dearborn and visited the Henry Ford Museum. 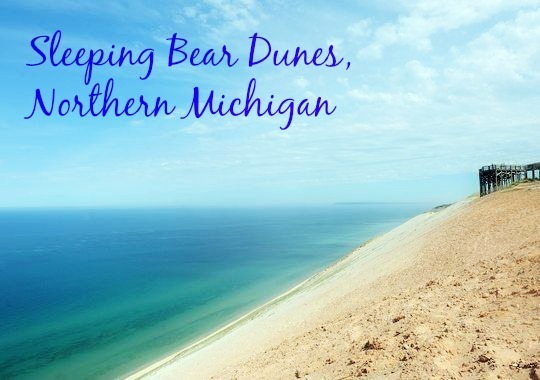 This year I’d like to visit the Sleeping Bear Dunes and surrounds. I think the kids would love it because it’s about the closest thing to a beach from Central Ohio. I’ve been looking at some places in Traverse City. Does anyone have any other suggestions? I am not very familiar with the area. Although we’re only a state away, I’ve only been to Indiana once for my husband’s family reunion. Now that Brian does sales every month in Indiana, it seems weird that I still haven’t been anywhere in the state other than Goshen! I’m hoping to tag along on one of Brian’s work trips and check out Brown County and some of the sights and museums of Indianapolis. Not only does Indianapolis have one of the best rated children’s museums, Brown County is supposed to be as beautiful and fun as our own Hocking Hills. 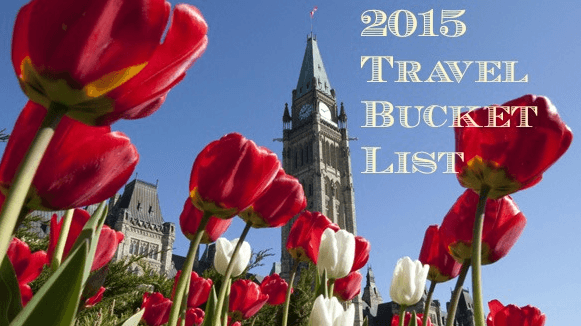 So that’s our relatively simple list for 2015! I can’t wait to tell you all about where we are going in January of 2016. This year is just a warm up to hopefully prep our kiddos to travel light and sleep well in unfamiliar places! Where are you headed in 2015? Have you visited any of these places before? I would love to hear your tips!